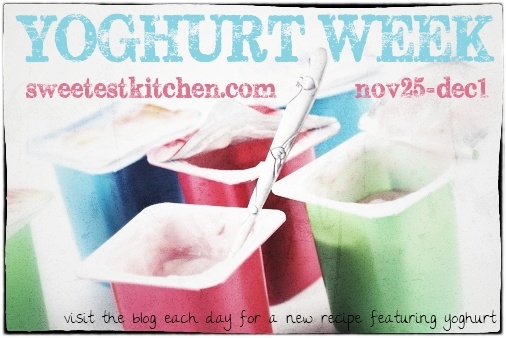 Yoghurt week is coming along nicely, don’t you think? This is day number four and I’ve got a good dish for summer to share. I was reluctant to cook the recipe, however, because of my experience with whole wheat spaghetti in the past; it seems to stay more firm than I prefer my pasta to be! Nevertheless, this recipe looked extremely quick, extremely easy and with the addition of Chobani Greek yoghurt, I knew it had to be good. However, not only was I reluctant about the pasta, I realized that the sauce in the recipe is similar to a satay sauce as it uses peanut butter. Okay, I love peanut butter so much, but I do not like the flavor of satay anything. I had to give it a go though; I had high hopes. 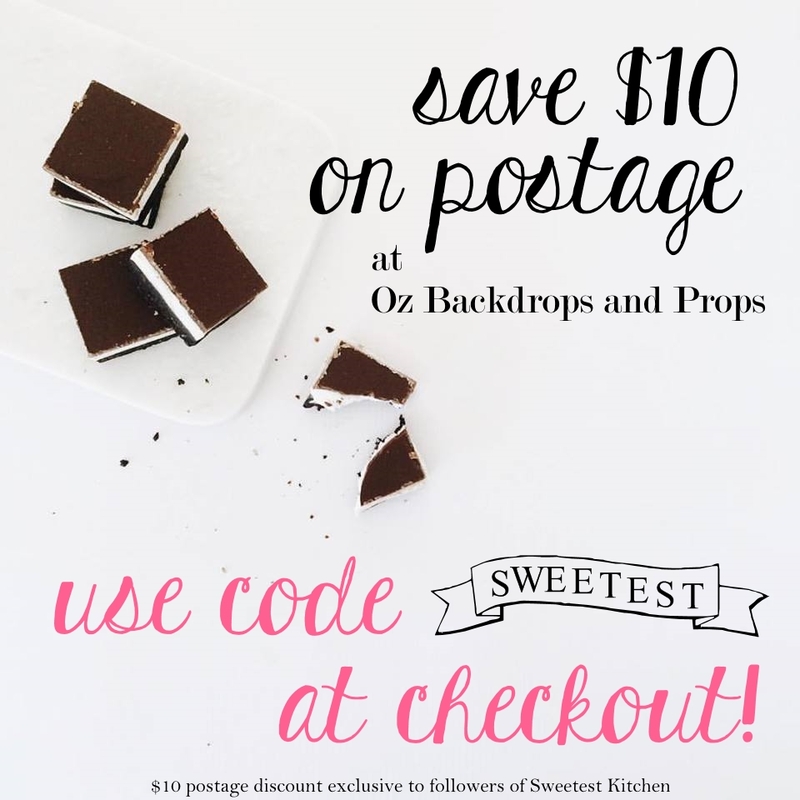 In regards to recipe preparation, I was certainly correct – it is so quick and so easy that I’m almost positive you could do it with your hands tied behind your back. Well, that’s probably stretching the truth a bit, but I assure you, this is like a 15 minute meal here. 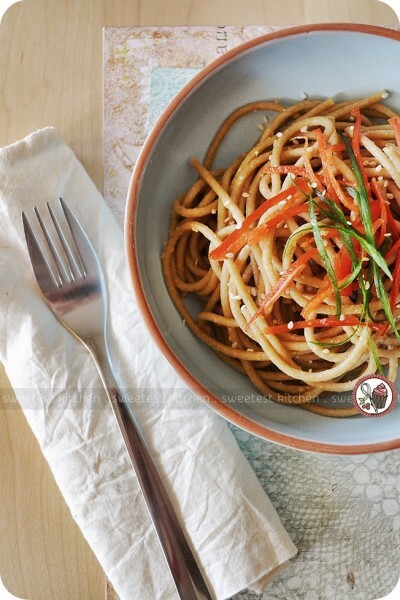 I bet you may wonder if I actually liked these noodles, since I don’t like peanut butter in my savory dishes. Honestly, I did like it! I could definitely tell there was peanut butter in it, although I couldn’t taste much of the Greek yoghurt. Perhaps I was just too focused on the peanut butter flavor, though! If you decide to dedicate 15 minutes of your time to making this recipe, my advice is to eat it as soon as you finish making it. I had some leftover noodles the following day and they didn’t taste anywhere near as good as they had when freshly prepared. Thanks again for stopping by for Yoghurt Week! Blend yoghurt, soy sauce, peanut butter, sesame oil, vinegar, ginger and chili sauce in blender until smooth. Cook noodles according to package directions. Pour sauce over noodles and toss. Add 1-2 tablespoons cold water to thin, if necessary. To serve, sprinkle with scallions, peppers and sesame seeds.